That was the perfect headline. 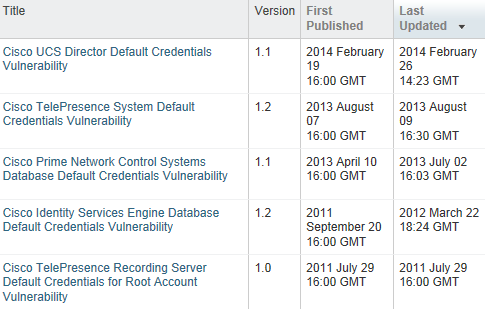 For a while I was keeping a list of all of the products from Cisco that were found to have hard-coded credentials. It was depressingly long and validates why you cannot rely on a vendor to provide the security you need to protect a product from abuse.